Our 8th grade students in the Jones-Zimmermann Academic Mentoring Program (J-Z AMP) just wrapped up their last year with their Yale student mentors that they’ve been with for three years! Twelve years and four cohorts later, we’ve successfully navigated our way through the inevitable growing pains of implementing an afterschool program and have forged strong partnerships with our schools and funder. Sometimes there was chaos behind the scenes, but the lessons we have learned along the road have paid off and allowed our mentors and mentees to have positive experiences and grow. As the “university” in the J-Z AMP partnership, we want to share what value we think university partnerships can provide for other afterschool programs (aka why we are important too!). become involved in their new community, and if we have a relationship with a school, we know an opportunity to connect them exists and can help fill a need at the school. • Relatable mentors and role models. Due to age, college students get to occupy the space between teacher and friend. Our mentors frequently let us know how their mentees think of them as “buddies” but still remain an authority figure. Zhu ’17 examined four research topics for her senior capstone to evaluate and suggest improvements for our program. 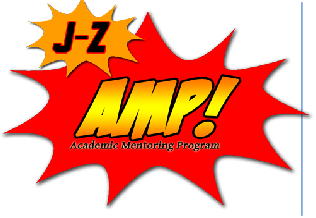 o How effective has J-Z AMP as a process been over the past three years, in terms of mentees’ academic achievement and social-emotional development? o What should be the future directions of J-Z AMP and similar programs regarding funding, curriculum, and leadership? • Increase community ties and leverage university resources. We are able to share information, collaborate, come up with new ideas, and contribute our own resources to help expand programming. o J-Z AMP mentees were able to build relationships with Yale students and learn about the university in their own city. o J-Z AMP mentors used us to learn about enrichment opportunities in the community to offer to mentees, such as field trips to local museums. o New funding and programming opportunities may open up after collaborating with a college, like with J-Z AMP. Exploring ways to utilize community assets can make a huge difference for students, and we hope connecting campuses and local schools can be a piece of that puzzle. What a lovely collaboration. Great work!